SSM shows their newest textile machines at ShanghaiTex for the first time. The exhibition is held in Shanghai from November 27 to 30, 2017 at the Shanghai New International Expo Centre. SSM welcomes the interested crowd at booth E1 A70 and E1 D30. 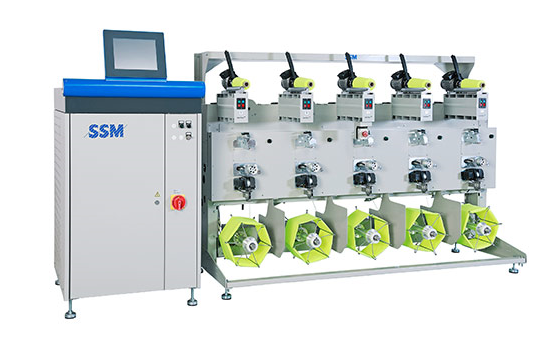 The Swiss based SSM Schärer Schweiter Mettler AG, the inventor of the electronic yarn traverse system, is participating at the actual ShanghaiTex on the booth of their agent Union Trading as well as on the booth of Rieter Components.